This is the kind of reference book I love to spend hours poring over, opening it at random and absorbing the information. The authors follow Manetho's ancient organization of Egyptian history into 31 dynasties - from Narmer (c. 3150 BC) to Darius III (332 BC) and also the Macedonian Dynasty that ruled until Rome conquered the Nile Valley in 30 BC. Despite the fact that this schema is very artificial and arbitrary, it remains the framework upon which modern Egyptology rests and just about the only organizing principle general readers are familiar with. 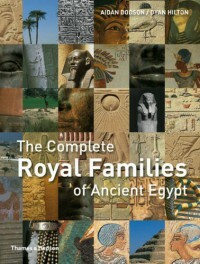 Each dynastic account is divided into three sections: Historical Background, which gives a brief overview of the period; Royal Family, which attempts to unravel the complex genealogies of the Pharaohs; and Brief Lives, which lists the known members of the dynasty and their probable relationships to the kings and their roles in society. And - no - there are no space aliens or Atlantean engineers carving the Sphinx 10,000 years ago. One, Egypt is old! When Solon, the Athenian lawgiver and poet, visited Egypt c. 600 BC, he was as far removed from the 1st Dynasty as we are from him (i.e., c. 2500 years). 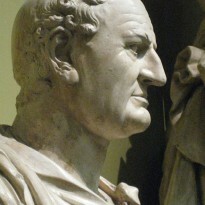 The so-called New Kingdom period began 800 years before Rome was founded in (traditionally) 753 BC. Two, while I'm astonished at how much we know about Egypt's earliest history, there's still much to learn. * For example, we have a fairly complete list of 1st and 2nd dynasty kings but we have few clues as to what they did or even how long they reigned. There's an approximate date for Narmer at 3150 BC but the only reign dates the authors felt confidant enough to give were those of the last king of the second dynasty, Khasekhemwy, 2611-2584. Many of the "Brief Lives" entries are little more than, for example, "Khenterka Depicted as a child in the tomb of his mother, Meresankh III" or "Nysuheqat (KSon)** Owner of tomb 964 H8 at Helwan." I would love to have a copy of this for my very own but - sadly - I must return it soon to the library so that others might learn a little bit about this fascinating civilization. * E.g., this recent news item about the discovery of 17 "lost" pyramids. ** There's an interesting chart listing the various titles used throughout Egyptian history. "KSon" refers to a sa-nesu, a King's Son, most often just what it implies - the biological offspring of the Pharaoh - but it could also be an honorific and has been found associated with royal granddaughters.